Yogoda Satsanga Society of India (YSS) was founded by Sri Sri Paramahansa Yogananda in 1917. 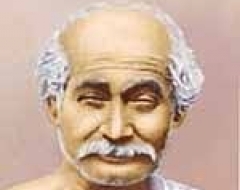 The mission of YSS is to make available to all the ancient scientific teachings, and meditation techniques of Kriya Yoga for achieving all-round success, well-being, and a direct personal experience of God. YSS has more than 200 centers across India to help all Truth-seekers to experience the power of group meditations and to share in spiritual fellowship. Yogoda Satsanga Dhyana Kendra - Chennai is situated at No.14 (Old No- 17) Rajarathinam Street , Kilpauk (behind Ega theatre ) Chennai – 600010. The Kendra established in 1988, conducts group meditations and satsangas aimed at disseminating the timeless teachings of Sri Sri Paramahansa Yogananda, the founder of YSS of India ( SRF - worldwide). 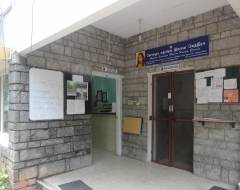 A YSS Meditation centre was started in Chennai by a small group of devotees in 1960 in an humble premises at Mylapore, a busy part of the Chennai city surrounded by many a temple and inhabited by intellectual elite. In the early 1970 ‘ s , the Kendra got shifted to Kilpauk area and got its roots firmly set in that vicinity since then. During this period, Chennai was blessed by the august presence of our late Sanghamata Daya Ma. 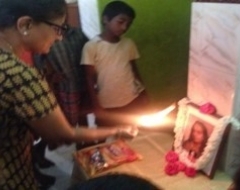 During her visit she gave Kriya Diksha to many people. The present Chennai Kendra has been functioning effectively since 1988. In the initial years, Kendra activities were restricted to group meditations held on Sunday mornings and Thursday evenings. After the release of Tamil version of Autobiography of a Yogi in 2000, the entire scenario changed. Lot of devotees started coming to Kendra and the activities also started increasing. The rise in the Kendra activities has been phenomenal in the last few years. Meditation of course is being given first place among the Kendra activities. The group meditation duration has been increased during the past few years, thanks to the cooperation received from Satsang leaders as well as the devotees attending these meditation sessions. Healing prayers of our Guruji works wonders for the devotees and their families. A small prayer box is kept in the book room at the altar of Gurudev and Sri Daya Mata. The Kendra has been celebrating Avirbhav and Mahasamadhi days of YSS Gurus grandly every year. Long meditations lasting 6 hours are being held the previous Sunday of the said functions to commemorate the above occasions. For Janmashtami and Christmas, the duration of commemorative meditation is 8 hours. Tamil service is offered on every second sunday of the month.